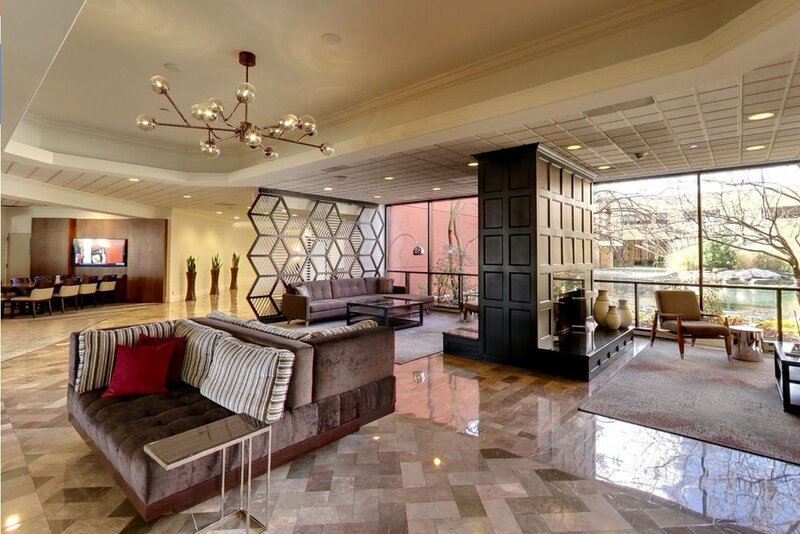 "Bringing mid-century modern with an automotive twist to the area"
Nestled on 135 acres of championship golf, this premier Ann Arbor, Michigan hotel is conveniently located near the Detroit Metro Airport (DTW) and offers a tranquil park setting and resort-style amenities. Guests enjoy spacious Ann Arbor, Ypsilanti hotel accommodations featuring touches of Marriott's finest, including Revive Bedding and sleek, contemporary furnishings. Perfect for both the business and leisure traveler, this Ann Arbor hotel is near Michigan Football Stadium and the campuses.